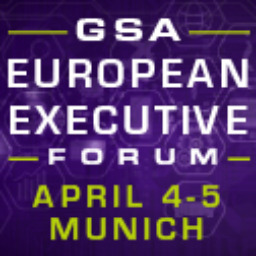 GSA’s European Executive Forum is an invitation-only event that brings together more than 200 leading semiconductor executives from across the industry for two days of thought exchange and discussion. This year, we’re focusing the conversation on Digital Transformation, exploring how semiconductors are impacting other verticals and how our own industry is evolving through the power of new technologies. We will be joined by more than 20 speakers representing a multitude of perspectives – industry insiders and outsiders, large companies and startups, from Europe, US and Asia. This event is more than one-of-a-kind content; it’s an opportunity to connect with other leaders in the industry. One of the most anticipated highlights of the event is the VIP networking reception and dinner. You will have the opportunity to dine with the brightest in the industry at the futuristic BMW World, the top tourist attraction in Munich and Bavaria. Register today and take advantage of this unique opportunity to meet, greet, and explore with your peers the technologies that could propel our industry through its next stage of growth. Bio: Craig Hampel is Chief Scientist, focusing on memory and system architectures for Rambus. Craig has extensive experience in the memory industry, having led engineering efforts for Rambus’ interface designs that have enabled highly successful products across computing, communications and consumer electronics. Craig’s development of memory solutions at Rambus spans more than 20 years and he is an inventor on nearly 200 patents in the area of high-speed memory and interface technology, with such inventions playing a fundamental role in advancements in 3D realism across a number of gaming platforms. In 2009, Craig was named Inventor of the Year by the Silicon Valley Intellectual Property Law Association for Memory Advancements in Gaming and Computing. Bio: Benedetto Vigna is Executive Vice President, General Manager of the Analog and MEMS Group, and has held this position since January 2016. He is a member of ST’s Corporate Strategic Committee. Vigna joined STMicroelectronics in 1995 and launched the Company’s efforts in MEMS. Under his guidance, ST’s MEMS sensors found early success with large OEMs for motion-activated user interfaces establishing ST’s MEMS leadership. Vigna has piloted ST’s successful moves into microphones, magnetic sensors, and touch-screen controllers, as well as environmental sensors, micro-actuators, automotive sensors, and low-power radios for IoT. In 2011, his responsibilities expanded to include general-purpose and high-end analog ICs. ST’s smart-power products were added to Vigna’s mandate in early 2016. Vigna has filed more than 170 patents on micromachining to date, authored numerous publications, and delivered many speeches at international conferences. He sits on the industrial board of several EU-funded programs. Vigna’s contributions to the MEMS industry have been recognized with the Executive of the Year Award by the MEMS Industry Group (2013), the European SEMI Award (2013), and the IEEE Frederik Philips Award (2015). Benedetto Vigna was born in Potenza, Italy, in 1969, and graduated with a degree in Subnuclear Physics from the University of Pisa, Italy. Bio: Brett is a co-founder of Arete (formed in 2000) and is based in the firm's London office. He focuses on the global semiconductor component sector. Brett is a regular public speaker at industry events and after 17 years looking at the sector, has a wealth of experience to draw on. Prior to Arete, Brett spent two years at Goldman Sachs in an equity analyst role, specialising in European technology following three years with Ericsson UK, working in business development, covering all aspects of wireline and wireless telecom infrastructure. Bio: Christian Fredrikson has served as President and CEO of Fingerprint Cards since 2016. Fredrikson previously held the position of CEO at Finnish data security company F-Secure Oyj. He has also held several leading positions in Nokia Oyj’s networks division. Fredrikson earned a Master’s Degree in Engineering from Åbo Akademi University in Finland. Bio: For 18 years, Continental has given me the chance to work on extremely interesting challenges and the freedom to master them. I started in the Infotainment Unit working on the first navigation system capable of understanding destination input via speech recognition. Later, I moved to Engineering Services, where I worked on AUTOSAR, the first standardized automotive operating system. Since 2015, I have been working in Corporate Technology and leading Artificial Intelligence & Robotics Labs. Bio: Didier Lamouche has over 28 years experience in the semiconductor, I.T. and Wireless industries. Prior to joining Oberthur Technologies, and since November 2010, Didier Lamouche was Chief Operating Officer of ST Microelectronics (a worldwide, semiconductor leading company, listed on the Paris, Milan & NY Stock Exchanges)and in addition, since December 2011, he took over the role of President & Chief Executive Officer of ST-Ericsson, the 50/50 Joint Venture between STMicro and Ericsson, developing and selling semiconductor platforms and systems chips to the wireless telecommunication handsets industry. In February 2005, Didier Lamouche joined the Group Bull as Chairman and CEO (Information Technology and Services company with worldwide presence, listed on Euronext comp. B). He succeeded to turn around and reposition Bull on the European I.T. landscape, boosting its server strategy by taking a leadership position on the High Performance Computing segment and repositioning the company on a “services and solution-centric” business model. He left the company in May 2010, with a solid market position and a new and consolidated shareholding structure that he initiated. Prior to this, Didier Lamouche acquired extensive industrial and turn-around experience in the field of Semiconductors, as Vice President of Worldwide Semiconductor operations at IBM –East-Fishkill NY- 2003 and 2004, creating and leading as Chief Executive Officer Altis Semiconductor – a foundry JV between IBM and Infineon – 1998 to 2003, and at other leading technology companies like Motorola and Philips where he started his career as R&D engineer. Didier Lamouche has also served on the Board of various listed Companies, Soitec (since 2005), Adecco (since 2011), ST Micro (2006 to 2010), Atari (2007 to 2010) and non-listed companies ST-Ericsson (2011) and Cameca – a private equity owned technology company – (2005 - until sold in 2006). Didier Lamouche is a graduate of Ecole Centrale Lyon and holds a PhD in semi-conductor technology. He has been awarded the Chevalier de la Légion d’honneur in April 2010. He is 53, married and father of 3 children. Bio: Doug Carmean is currently an Architect at Microsoft exploring the role of advanced technology in the context of future computing ecosystems. He is the lead architect for Microsoft’s quantum computing project. Previously, Doug was an Intel Fellow where he held a variety of architecture roles over a period of 25 years. Doug joined Intel in 1989, he has held several key roles and provided leadership in Intel's microprocessor architecture development and product roadmap. As Nehalem's first chief architect, a next-generation x86 flagship processor, he led the team during the early phases of architecture definition. Prior to this position, he was a principal architect for the Pentium 4 processor where he completed the memory cluster and power architecture definition including algorithms, structures and overall functionality. Carmean holds more than 25 patents and many pending in processor architecture and implementation, memory subsystems and low power design. He has published more than a dozen technical papers. Bio: Graham Budd was appointed Chief Operating Officer in July 2008. Prior to this, he was EVP and General Manager of the Processor Division from July 2005. He joined ARM in 1992 as a VLSI design engineer and led the development of several of ARM's early system-on-chip designs. Since then he has held a number of engineering, marketing and operations leadership roles. He is a chartered engineer. Bio: Harald Hendrikse is a Managing Director in the European Autos equity research team at Morgan Stanley, joining Morgan Stanley in August 2014. The European Auto team has full coverage of the European OEMs at present. Prior to Morgan Stanley, Harald worked at a number of other brokers including Credit Suisse from 1999-2007 covering first Aerospace from 1999 to 2002 and Autos from 2001 to 2007, achieving top II and Extel rankings in both sectors. He then worked at Merrill Lynch from 2007 to 2010, where, latterly, he also acted as a Director of Research, and again achieving top rankings in II and Extel. During 2010 and 2011, Harald worked at James Caird Asset Management, a multi-asset class hedge fund, managing a long / short fund in global cyclical equities. Harald graduated from the London School of Economics in 1989, and started his career training as a Chartered Accountant with Ernst & Young. Bio: Hassane El-Khoury was named is president, chief executive officer and a member of the board of directors at Cypress in August, 2016. He was previously executive vice president of Cypress’ Programmable Systems Division, managing the company’s standard and programmable microcontroller (MCU) portfolio, including its Platform PSoC family of devices, and its automotive business. Prior to that, El-Khoury ran Cypress' automotive business unit, architecting its human-machine interface strategy—which is focused on the automotive touch business—and spearheading its effort to target the growing infotainment, instrumentation cluster and Advanced Driver Assistance Systems (ADAS) segments. Under El-Khoury, the automotive business unit significantly expanded its revenue, market share and technology leadership. Prior to joining Cypress, El-Khoury served in various engineering roles with subsystem supplier Continental Automotive Systems, where he spent time based in the U.S., Germany and Japan. He has a deep understanding of customer and design requirements in the automotive and industrial markets, as well as a systems-level understanding of how chips work together to form integrated customer solutions. El-Khoury holds a bachelor's of science degree in electrical engineering (BSEE) from Lawrence Technological University in Southfield, Mich., and a master's degree in engineering management from Oakland University in Rochester Hills, Mich.
Bio: Josef Brunner serves as relayr’s Chief Executive Officer. Josef has been instrumental in launching multiple IT and Cyber Security companies, like JouleX (2009) and Bastille Networks (2004). He recently completed tenure with Cisco Systems, which began after the 2013 Cisco acquisition of JouleX, where he was Co-Founder and Chief Architect. In addition, he has served as the Head of Security at Azlan, and the Director of Security Sales, CEE, Middle East and APAC at Enterasys. Bio: Lars Reger is Chief Technology Officer of NXP’s Automotive business unit. In this role, he is responsible for managing Research and Development (R&D) and new business activities for NXP Automotive. Prior to joining NXP in 2008, Lars gained deep insights into the microelectronics industry – with a strong focus on the automotive sector – in various functions with Siemens, Infineon, Siemens VDO and Continental. Before joining NXP, Lars was Director of Business Development and Product Management within the Connectivity business unit at Continental. His past roles at Infineon included Head of the Process and Product Engineering departments, Project Manager for Mobile System Chips, and Director of IP Management. He began his career with Siemens Semiconductors as Product Engineer in 1997. Lars holds a university degree in physics from Rheinische-Friedrich-Wilhelms University of Bonn and an executive MBA from London Business School. Bio: Luca De Ambroggi is responsible for all aspects of semiconductor research for telematics, infotainment, ADAS and related automotive applications. He also supports sales and marketing as well as strategic business development endeavours in the growing European automotive segment. Luca joined the company with 16 years of semiconductor industry experience, including product and design management and technical marketing. Having served a broad range of functions throughout his tenure, he possesses deep technical comprehension as well as an ability to address strategic market and business scenarios. He began his career as a design engineer with STMicroelectronics and has held various technical and marketing positions within both STMicroelectronics and Infineon. Luca graduated from the University of Catania in Electro-Technic Engineering. and he is fluent in Italian, English, and German. Bio: Mr. Manish Bhatia is the Executive Vice President Silicon Operations at Western Digital. Manish has held prior executive positions at SanDisk, acquired by WesternDigital in 2016, that include the Vice President Strategic Program Office, Senior Director of Silicon Procurement including responsibility for the SanDisk’s management of its joint venture with Toshiba. Prior to Western Digital, Bhatia worked for 5 years as Director of Operations at Matrix Semiconductor, a startup non-volatile semiconductor memory company that was acquired by SanDisk in 2006. Bhatia also has worked at McKinsey & Company and Saint Gobain Corporation. Bhatia holds Bachelors and Masters degrees in mechanical engineering from the Massachusetts Institute of Technology and an MBA from MIT’s Sloan School of Management, which he attended as a Leaders for Manufacturing Fellow. Bio: Dr. Marced is responsible for driving the development, strategy and management of TSMC's business in Europe. Before joining TSMC she was Senior Vice President and General Manager of Sales and Marketing at NXP/Philips. She also served as Philips' General Manager of The Connected Multimedia Solutions Business Unit, overseeing semiconductor solutions for Connected Consumer applications. Dr. Marced spent 19 years with Intel before that, rising to become Vice President and General Manager responsible for Europe, the Middle East and Africa. She holds a Ph.D. in telecommunications engineering from Universidad Politecnica de Madrid, Spain. Bio: Mark McDonald is a managing director and Digital Business Strategy lead at Accenture Strategy, where he advises top executives and their teams in the development and execution of digital business strategies to drive growth and business results. A prolific author and a regular speaker on business, leadership and technology issues, Mark’s ideas appear in leading publications such as the Wall Street Journal, Harvard Business Review, and the Financial Times. In 2012, the Huffington Post named him one of the top 100 most influential bloggers on technology issues. He is the author of The Digital Edge: Exploiting Information and Technology for Business (Gartner, 2012). He has lectured at Oxford University and currently teaches courses at Columbia University in New York and the University of Wisconsin Business School. Previously, Mark was a group vice president and fellow at Gartner, a technology research and advisory company. At Gartner, Mark was a member of the Executive Programs Leadership team and head of Executive Programs Research. Mark graduated from Colgate University with honors in economics and political science, Trinity College in Connecticut with a master’s in economics and international finance and TU Delft with a Ph.D. in technology policy management. He is based in Chicago, where he lives with his family. 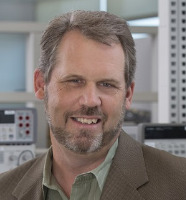 Bio: Mark Papermaster is chief technology officer and senior vice president at AMD, responsible for corporate technical direction, and AMD’s intellectual property (IP) and system-on-chip (SOC) product research and development. His more than 30 years of engineering experience includes significant leadership roles managing the development of a wide range of products spanning from mobile devices to high-performance servers. Before joining AMD in October 2011, Papermaster was the leader of Cisco’s Silicon Engineering Group, the organization responsible for silicon strategy, architecture, and development for the company’s switching and routing businesses. In prior roles, Papermaster served as Apple senior vice president of Devices Hardware Engineering, where he was responsible for the iPod products, and iPhone hardware development. He also held a number of senior leadership positions at IBM, serving on the company’s Technical Leadership Team and overseeing development of the company’s key microprocessor and server technologies. Papermaster received his bachelor’s degree in electrical engineering from the University of Texas at Austin and a master’s degree in electrical engineering from the University of Vermont. He is a member of the University of Texas Cockrell School of Engineering Advisory Board, Olin College Presidents Council, and the Juvenile Diabetes Research Foundation. Bio: Noel Hurley was appointed general manager of the Business Segment Group at ARM in July 2015. Consisting of the Enterprise Business Line and the Mobile Business Line the group is responsible for the product strategy and eco-system development for a number of important segments including servers, network infrastructure and mobile computing. Noel originally joined ARM in 1994, performing a number of technical marketing, segment marketing, product marketing and commercial roles. He left ARM in 2005 to be a founder and vice president of marketing for XMOS Semiconductors, a VC funded fabless semiconductor company. Subsequently in 2010, he joined Toumaz Technology becoming the COO, before rejoining ARM at the end of 2011. Bio: Olivier Ribet is Vice President, High-Tech Industry and VP Internet Of Things. He is responsible for helping High-Tech companies worldwide to deliver innovative electronic experiences for their end-customers by using Dassault Systèmes’ 3DEXPERIENCE platform. Olivier Ribet brings over 20 years of international experience in the Software, High-Tech and Telecom markets. During his career, he has led businesses and teams across Europe, North America and Asia in strategy, marketing, and business development, working for Microsoft, Bull and EDF. Olivier Ribet is a graduate of the Institute des Etudes Politiques in Bordeaux, France, and completed courses in finance, marketing and business strategy at INSEAD. Associate Partner, McKinsey & Co.
Bio: Christian is an Associate Partner in McKinsey's Semiconductor Practice and is based in Berlin. He helps global semiconductor and industrial clients and focuses on operations, strategy and M&A topics. He has served clients across the entire value chain in semiconductors - equipment players, Integrated Device Makers (IDMs), foundries, fabless players, and worked 3 years in the US. Christian holds a PhD in RF analog circuit design for optical communications, and engineering degrees from TU Dresden, Germany, and Ecole Centrale Paris, France. Bio: Mr. Cassidy’s electronics career began at Fairchild Semiconductor, later acquired by National Semiconductor. Over an 18-year span he rose through manufacturing, engineering, quality and reliability, and marketing, culminating with his appointment as Vice President and General Manager of National’s Military & Aerospace Division and Co-Chair of National’s General Manager Council. He joined TSMC North America in 1997 as Vice President of Account Management; promoted to President, TSMC North America in 2005; elected Corporate Vice President, TSMC, Ltd. in 2008; and elected Senior Vice President, TSMC, Ltd. in 2014. Over nearly two decades at TSMC he has helped lead the company to record growth, while contributing greatly to the success of the fabless semiconductor business model. He currently serves on the Global Semiconductor Alliance (GSA) Board of Directors, an organization dedicated to the advancement of the worldwide semiconductor industry. Prior to entering the semiconductor industry, Mr. Cassidy served as an officer in the U.S. Army. He holds a Bachelor of Science degree in Engineering from the United States Military Academy at West Point. Bio: Sebastian Hofelich has been Managing Director at DriveNow GmbH & Co. KG since July 2015. The industrial engineering graduate has been a commercial manager within the company since 2011 and also joined Robert Kahr at the helm of DriveNow Austria GmbH in August 2014. He entered the BMW Group in 2002 and worked as a project manager in internal company consulting until 2006. He then went on to hold management positions in central and decentralized controlling, where he was responsible for sales controlling from 2009 – a role which included coordinating the profitability program for all global sales companies and sales centers. Bio: Dr. Thomas Stockmeier joined the company in 2013 as Executive Vice President and General Manager of the Industrial & Medical business. In July 2014, he was appointed Executive Vice President and General Manager of the Division Sensors and Sensor Interfaces and of Corporate Technology. In October 2014 he was appointed as Member of Management Board and Chief Operating Officer. He has 29 years of experience in the Electronics Industry, having worked 13 years for ABB in Switzerland and in the USA, holding various positions in Research, Development and Management. For the past 13 years he worked as Member of the Management Board and CTO of SEMIKRON in Germany, responsible for R&D, Production, and Quality. Dr. Thomas Stockmeier received a Diploma Degree in Material Science from the University of Erlangen-Nuremberg and a Doctorate Degree in Electrical Engineering from the same University. Dr. Thomas Stockmeier is a German citizen. Bio: The IoT is transforming everyday physical objects into an ecosystem of information that is rapidly changing the way we live. It’s now ingestible and implantable... what’s next? 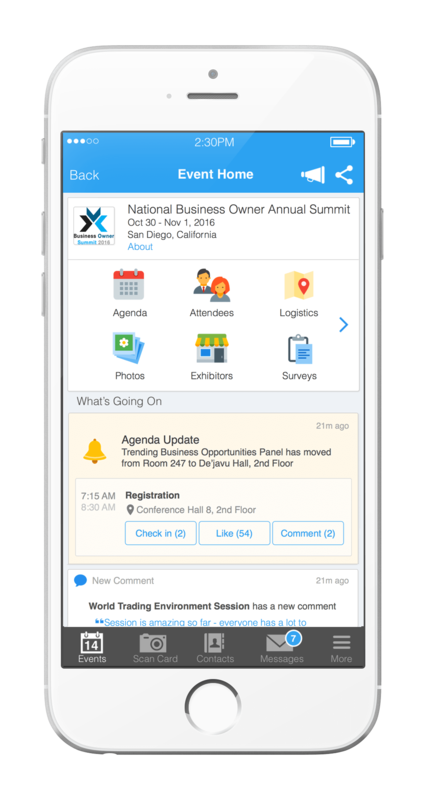 Attendees please download Whova event app, to access the information of all 28 speakers.